Live at Houston’s most enviable address! Amazing opportunity to build out this 11,900 sf garden residence finished to the slab and ready for customization. 7,400 sf interior living and a 4,500 sf private garden. 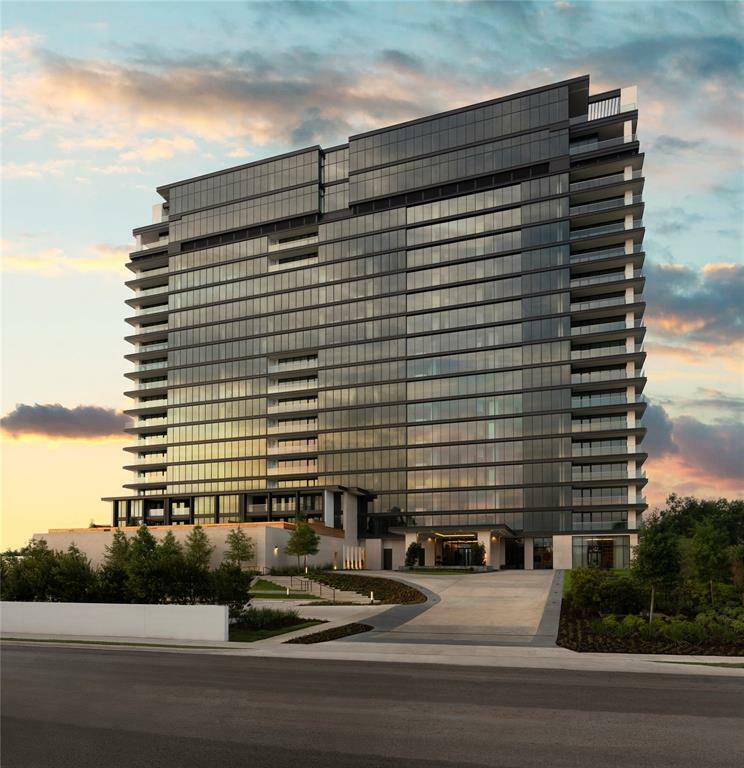 Nestled on nearly 3 acres of perfectly manicured grounds, The River Oaks is a modern and sophisticated luxury condominium. PaperCity magazine has stated that, “The River Oaks is the most anticipated new high-rise of the decade, possibly of the last 30 years within River Oaks.” Delight in 5-star level amenities that include: resort style pools, pet-grooming spa and dog park, massage therapy room, yoga/Pilates studio with Peak Pilates MRe Reformer, 24-hour fitness center with Peloton bike, valet parking and white glove concierge service. Other wonderful homes available for private presentation. Please call today to schedule. Only one remaining of this size. 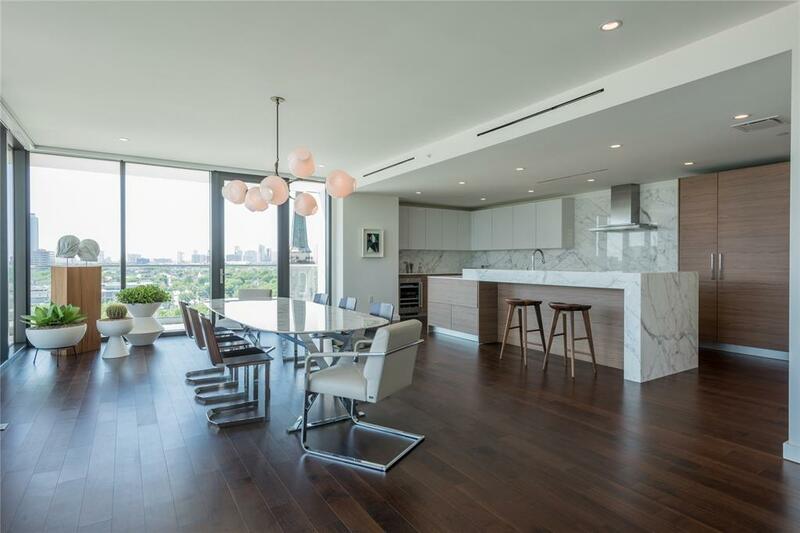 This stunning 16th floor residence offers 6,000 sf of sophisticated modern design. The master includes a luxurious master bathroom and large walk-in closet. 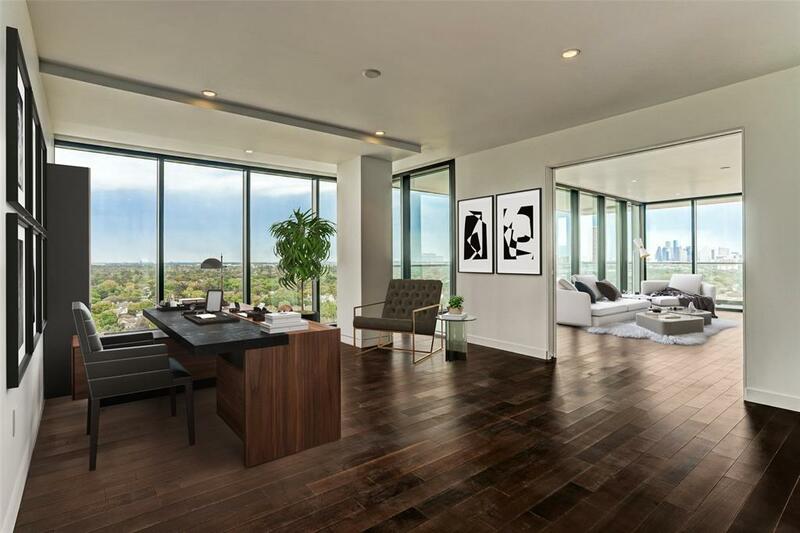 The floor to ceiling windows allow for an abundance of natural light and extraordinary views of downtown skyline and River Oaks. Designed by internationally acclaimed Lauren Rottet and nestled on nearly three acres of grounds, is reminiscent of a 5 star resort. Centrally located with easy access to Galleria, downtown and medical center. 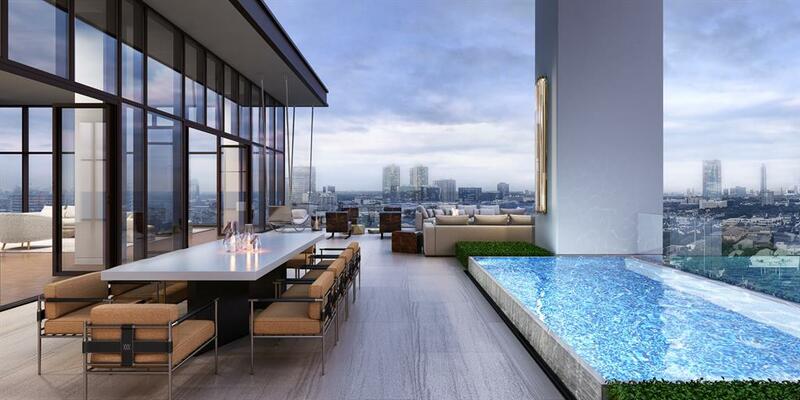 PaperCity magazine has stated, "The River Oaks is the most anticipated new high-rise of the decade, possibly of the last 30 years in River Oaks." Gourmet kitchen, Poggenpohl cabinetry, Gagganeau appliances. Full service building with 24 hour concierge and valet parking. Amenities include two pools, guest suites, pet-grooming spa,dog park, massage room, yoga/Pilates studio, fitness center. MODEL OPEN DAILY APPOINTMENTS SUGGESTED. *Total SF is 6014. Live at Houston’s most enviable address! This two-story garden residence features 3,100SQFT of interior living with hardwood floors and a 2,600SQFT private garden-perfect for a green thumb or a pet that needs room to run! Nestled on nearly 3 acres of perfectly manicured grounds, The River Oaks is a modern and sophisticated luxury condominium. PaperCity magazine has stated that, “The River Oaks is the most anticipated new high-rise of the decade, possibly of the last 30 years within River Oaks.” Delight in 5-star level amenities that include: resort style pools, pet-grooming spa and dog park, massage therapy room, yoga/Pilates studio with Peak Pilates MRe Reformer, 24-hour fitness center with Peloton bike, valet parking and white glove concierge service. Other wonderful homes available for private presentation. Please call today to schedule. Live at Houston’s most enviable address! Nestled on nearly 3 acres of perfectly manicured grounds, The River Oaks is a modern and sophisticated luxury condominium. The C floor plan is one of our most popular and designed to be flexible to suit your lifestyle. This residence is perched among the trees and offers great views of Greenway Plaza and Uptown/Galleria and overlooking beautiful pool and gardens. The interior is designed by renowned Interior Architect, Lauren Rottet. PaperCity magazine has stated that, “The River Oaks is the most anticipated new high-rise of the decade, possibly of the last 30 years within River Oaks.” Delight in 5-star level amenities that include: resort style pools, pet-grooming spa and dog park, massage therapy room, yoga/Pilates studio with Peak Pilates MRe Reformer, 24-hour fitness center with Peloton bike, valet parking and white glove concierge service. Other wonderful homes available for private presentation. Please call today to schedule. Rare 2 bedroom, 2 1/2 bath, north facing unit is now available in one of Houston's most enviable address! 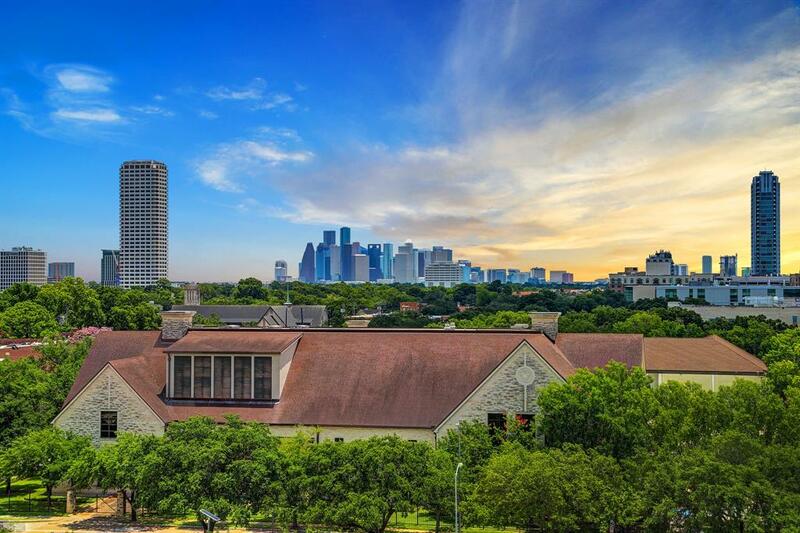 This stunning home has extraordinary views of the treetops of River Oaks and downtown skyline. 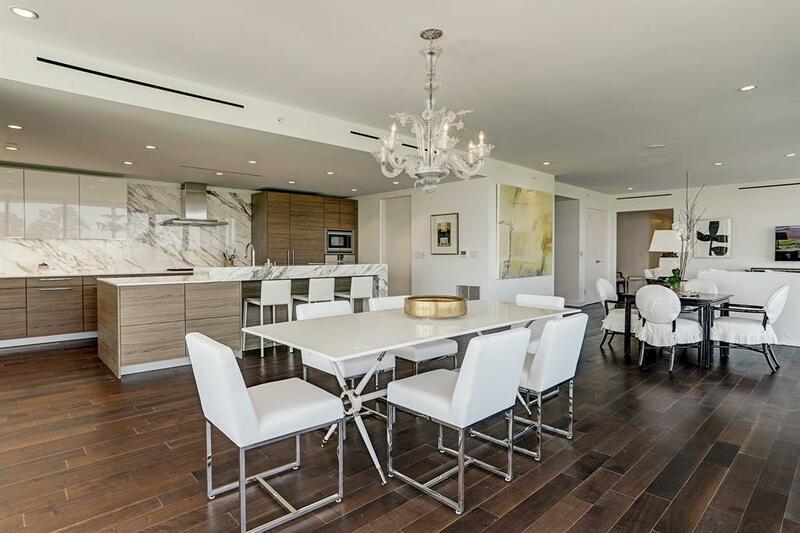 The large kitchen features Poggenpohl cabinetry and chef caliber Gagganeau appliances. Numerous meticulously designed custom finishes added by owner including, a gorgeous butler/dish pantry with marble counter tops and built-ins in master bedroom and in all closets. Hardwood floors and remote controlled shades throughout. 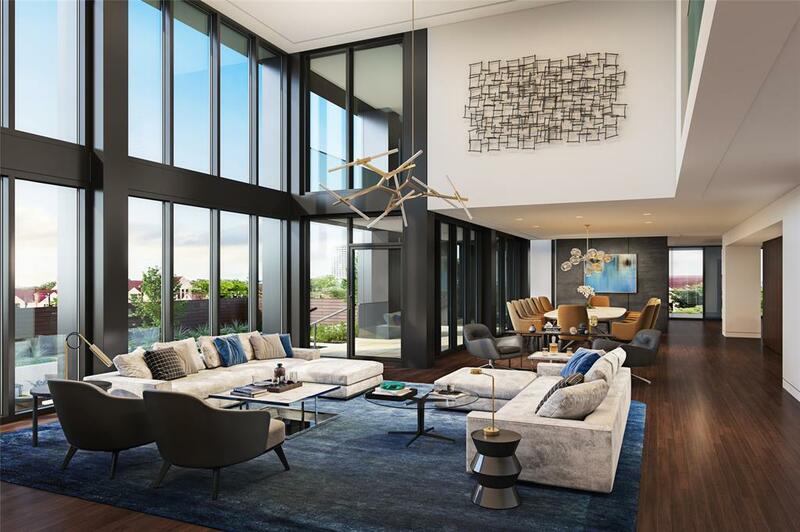 The River Oaks, a modern and sophisticated luxury condo offers interiors designed by renowned Interior Architect, Lauren Rottet. Five-star level services and amenities: resort style pools, guest suites, dog spa, dog park, massage therapy room, yoga/Pilates studio with Pilates MRe Reformer, 24 hour fitness center including Peleton bike, 24 hour concierge, and valet parking. This special home is move-in ready! * Square footage includes 300 sf balcony.